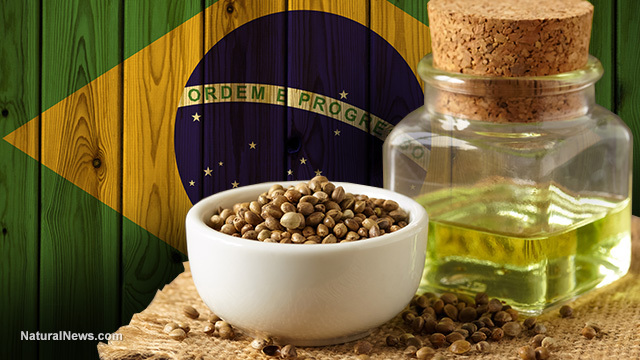 In a breakthrough legal step forward in the establishment’s acceptance of cannabis products as the beneficial health products they have long been known to be, the government of Brazil has approved the use of hemp cannabidiol as a treatment for cancer. The product, which goes by the brand name Real Scientific Hemp Oil had previously been approved by Brazil for treatment of epilepsy, Parkinson’s disease, and chronic pain. The move shows that even in the direst political times, at a moment when the Brazilian government is undergoing what many observers are calling a “soft coup” that has been orchestrated by the US government as part of the further neoliberalization of South America, compassion and logic can take precedence over ancient prejudices and fealty to prohibition. Whereas forces in the US government continue to struggle with the idea that all they have been indoctrinated with regarding marijuana has been lies and exaggeration, Brazil has stepped up to help ease the suffering of those in need. While forces in the US continue to squabble over legalizing marijuana even for medical use much less for recreational use, the opioid crisis has reached tragic proportions–all stemming from the drugs that make people running Big Pharma companies very, very wealthy. So of course there’s no problem with that. And while there is some evidence that some CBD products are cleaner than others–some hemp growers are less scrupulous than others, in an industry that is still finding the proper balance between openness and regulation–Medical Marijuana Inc. is a well-established company that works with an independent laboratory to validate its products. But buyer beware, some other CBD producers are known to use pesticides and extraction solvents to make their products, and it is suspected that some CBD is adulterated with progesterone. Still and all, the move by the Brazilian government is a welcome one. If only the US medical establishment were half as interested in helping people suffering from cancer as they seem to be intent on profiting off of them.